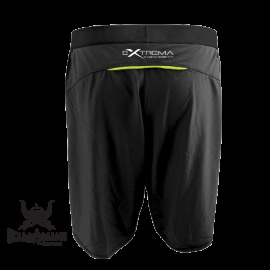 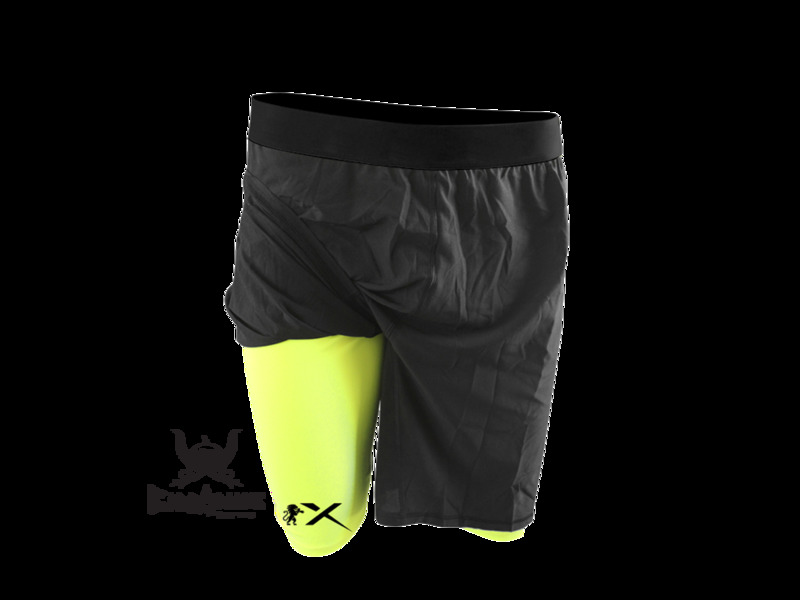 Composite polyester + lycra fabric under compression fluorescent yellow shorts. 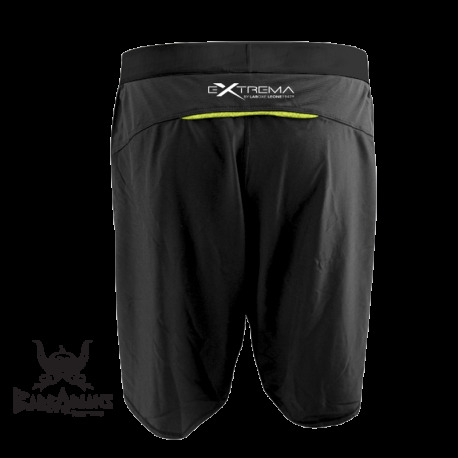 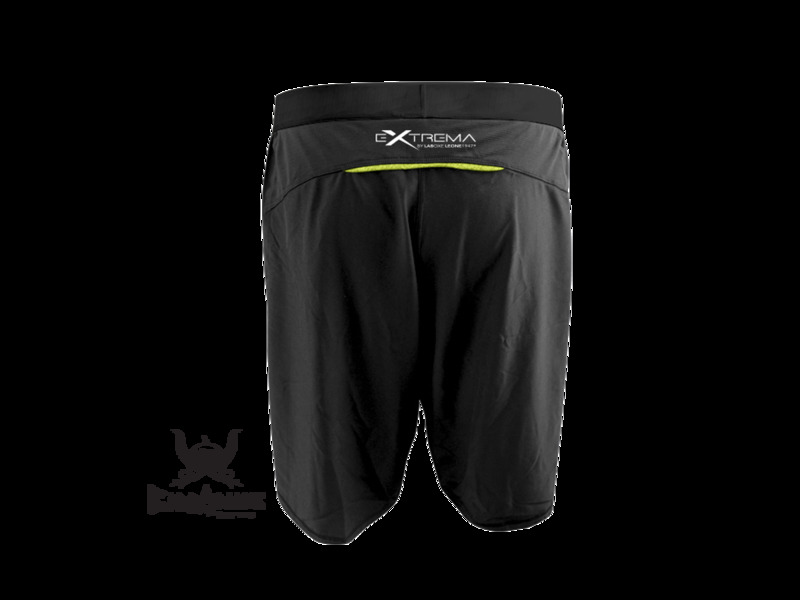 The inner short improves the muscular heating and the maintenance of the adequate body temperature. 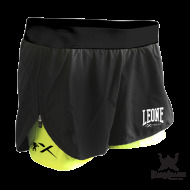 Thanks to the applied zipper that allows you to increase the size of the gap.